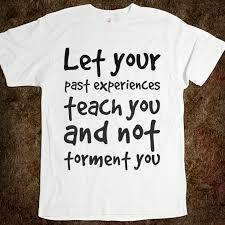 You are not your experience, you are the experiencer. You are not your state of mind. you are not your thoughts, but you are the creator of your state of mind or images in your imagination. you are a creator and you are created in the image of imagination. I am imagination! You are not your experiences, don’t let your negative or limiting experiences define who you are.The more you fear a state, the stronger it becomes and the more you love a state the stronger it becomes. Let us make man (manifestation) in our own image. (mental picturing). Remember, we were all created in the image of imagination. Let’s all choose our state of mind wisely. I am the creative higher intelligence within. I am Imagination, Imagining creates reality and Imagination is reality. I am everything, I focus on and imagine all day long. I am that I am. Choose for yourselves this day whom you will serve. – Joshua 24:15. You can choose the state of fear or the state of love. The state of success or the state of failure. The state of joy or the state of sadness. The choice is always yours alone to make. Imagination is reality and imagining creates reality. Always imagine the best in everything. We will always reap what we sow in Imagination. ← God Can Only Be Experienced Through Faith!